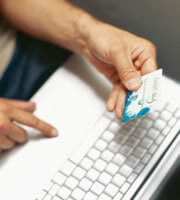 Are you thinking of applying for a credit card? If so, it's well worth exploring some of the sign-up bonuses and other introductory offers that card issuers are currently providing. At the time of writing, these include a $400 travel statement credit if you meet a spending threshold, a year's zero-percent introductory APR balance-transfer deal, and an ultra-low introductory APR on new purchases that lasts for a full three years. Before you get too excited about these enticing goodies, you should be aware that most are available only to those with good or great credit scores. IndexCreditCards.com publishes separately each year its pick of the best introductory APR balance transfer offers and introductory rates on purchases, so today's focus is on sign-up bonuses. Credit card rates. You could care less about these if you pay down in full your balance every month, but they're probably the most important factor if you carry significant card debt. It doesn't matter how good the sign-up bonus is, a high-rate card could prove expensive in the long term. Rewards. There's no point in getting a great introductory offer if the plastic you choose isn't going to suit your shopping patterns, so you can maximize your opportunities to earn miles, points or cash back. Similarly, there's no point in accumulating types of rewards that aren't going to enhance your lifestyle. Fees. It can make good sense to pay an annual fee -- but you need to weigh up the costs and benefits before you decide to do so. And what about other fees? If you travel abroad a lot, you don't want to pay foreign transaction fees. Issuer's reputation. You're getting into bed with a financial giant. You don't want one that snores or rolls over in his sleep. Does this one have a good reputation for efficient and caring customer service? Card perks. Does the card you're considering offer benefits, such as extended warranties and purchase or price protection? Barclaycard has emerged as a frontrunner in sign-up deals, with a couple of products that are great all-rounders, as well as having tempting introductory offers. For example, the Barclaycard Arrival™ World MasterCard® gives new cardholders the chance to earn 20,000 bonus miles (worth a $200 statement credit for travel spending after charging $1,000 in purchases to the plastic in the first 90 after your account's opened. And there are no annual or foreign transaction fees, which is always a bonus. All that, and its rewards program offers double miles on travel and dining, with a mile per dollar spent on all other purchases. An earning rate of two miles a dollar on all purchases. Five percent miles-back when you redeem miles. Yes, you can earn a new mile for every 5 you redeem. A zero-percent introductory APR for the first 12 billing cycles following each balance transfer you make to your account. This deal applies only to transfers you make within 45 days of account opening. The only fly in this product's ointment is its $89 annual fee, although that's waived for the first year. A tempting prospect for the traveler is the 100,000 bonus points currently on offer with the Marriott Rewards® Premier Credit Card. You have to make purchases worth $5,000 within the first three months you have the plastic. There is a $85 annual fee. There's potential to earn 50,000 bonus points after you spend $4,000 on purchases in the first three months from account opening with a new Chase Sapphire Preferred® Card. That's $625 in travel when you redeem through Chase Ultimate Rewards®. You can also earn 5,000 bonus points after you add the first authorized user and make a purchase in the first three months from account opening. Like others on this list, this card does charge an annual fee -- there is $0 intro for the first year, then the annual fee is $95. Just remember to look beyond headline introductory deals when choosing new plastic to find the cards that suit you best. With luck, you could find a great one with a generous bonus. 0 Responses to "Best credit card sign-up bonuses"